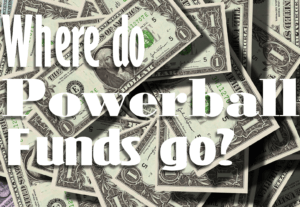 Where Do the US Powerball Funds Go? Roughly 50% of the funds go to winners. Around 29% of every $2 ticket sold goes to education. 5% goes to the state’s general funds. 10% goes to other other expenses/projects. 5.5% in commissions go to retailers. 1.3% goes to operating expenses. 1.6% goes to gambling contractor fees. 1.6% goes to operating expenses. As you can see, despite the differences, a good portion still goes to education. Still, while education is the most common recipient of lottery funds, exactly what aspect of education the funds are used for differs from state to state. Some states decide to focus on K-12, while others focus on in-state college scholarships. [h2 display=”Does It Really Help Education?” menu=”About Education Spending”] Now that we’ve established where US Powerball funds mostly go, the big question now is this: is it really a boon? The answer, unfortunately, is a bit complicated. Numerous experts have observed that it does help the rate of spending on education, but only at first. After a while, spending actually lowers to the point that it would have been a lot better had lottery funds not been introduced into the mix. Of course, this may not be the case every time. It’s certainly food for thought though. At the very least, it’s good to know that lottery funds, in this case the US Powerball’s, help education in some way.